Wave Jump Racers (LEGO 6334-1) is a Town set released in 1996 as part of the Race line. 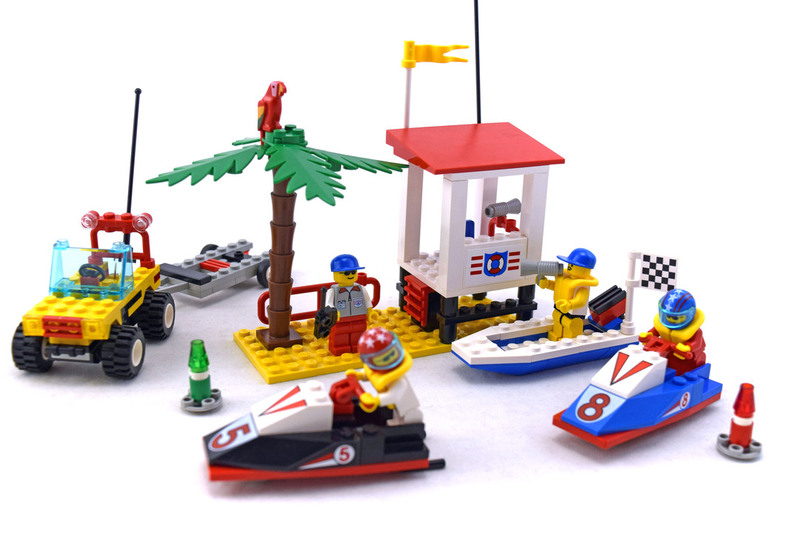 It contains a lifeguard tower, a 4WD with a boat trailer, a small motorboat, two jet skis and four Minifigures, one of which is named Indy LeMans. Set comes with 4 minifigures and 175 pieces.